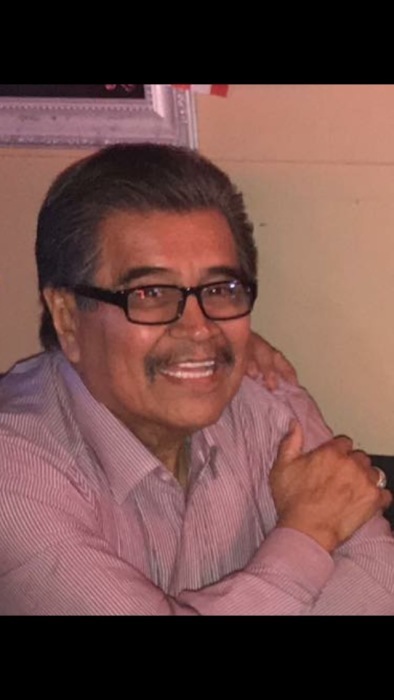 John Edward Carrillo, 71, departed this life December 3, 2018 a lifetime Puebloan he was born August 29, 1947 to the union of Florencio and Rufina Carrillo both precede him in death, along with, Grandma Nieves Rodriguez; grandson, Carlos Sandoval; brother, Florencio (Mary) Carrillo. John retired from the CF&I with 35 years of service. He enjoyed shooting pool, playing cards, softball, basketball and going to Cripple Creek. He loved watching the Broncos, Rockies, Nuggets and Avalanche, but most of all he loved his family and spending time with his grandkids. John is survived by his loving wife of 33 years, Gloria Carrillo; children, Rayna (Hilario) Carrillo-Sandoval, Trina (Daniel) Carrillo-Chavez, Gena (Ken) Rosales-Sciacca, John (Nicole) Carrillo and Nathan Ayala; grandchildren, Breanna, Paul, Justice, Angelina, Frankie, Sergio, Nixon, Maximus, Sloan, Ronin, Sahar; siblings, Delores (Joe) Cruz, Isabel (Tony) Cordova, Andy (Evelyn) Carrillo, Joey (Beth) Carrillo, Theresa Carrillo; father and mother in law, Albert (Lydia) Ayala; in laws, Gene (Paula) Ayala, Berta (Vince) Pacheco, Sarah Ayala, Barbara Gallegos, Henry (Delma) Ayala, Edna (Jose) Duarte, Chuck (Robin) Ayala; godsons, Jedidiah and Raul; special friends, Linda and Dean; several nieces, nephews, cousins, and friends. Rosary 7 p.m. Thursday, Funeral Mass 1 p.m. Friday both at St. Joseph Catholic Church. Interment Roselawn Cemetery. Family will receive friends at Father Charles Murray Hall of St. Joseph.